An Aadhar card is a unique identity card which has a 16 digit unique code number that can be used for photo identity as well as an address proof. The Central Government issued the Aadhar card as a central identification system for people all across the nation. The application and registration are free of charge and can be done by any individual partly through online as well as offline or completely offline. The Aadhar card can be linked to ration cards and bank accounts to make transactions much more hassle free. Is it possible for NRI and foreigners to apply for Aadhar card? An NRI or a non-resident Indian can apply for an Aadhar card. The central government has decided that they will be issuing Aadhar cards to everyone all across the nation. At first it could be used only by Indians to prove their identity in India. But looking at the importance and the impact the non-residential Indians are having on the Indian economy they decided to add a special provision in order to issue this card to any non-resident Indians as well. All information pertaining to the application for Aadhar card by NRIs and foreigners can be received from aadharcarduid.com/Aadhar-card-nri-foreigner. What are the eligibility criteria for NRIs and foreigners who are settled in India to apply for an Aadhar card? A non-resident Indian or any foreign citizen who has been residing in India can register for Aadhar card. The person can be of any age. One of the main components of the Aadhar card is the biometric test. But any infant below the age of 3 years does not need to give these details. Any child within the age of 5 years to 15 years who is applying for the Aadhar card needs to give the biometric details at the time of application and again once he has attained the age of 15 years as the biometric details change with age. What is the procedure for NRIs and foreigners to apply for Aadhar card? 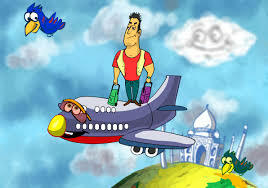 The procedure for NRIs and foreigners are same as those of Indians. It can be done by any individual partly through online as well as offline or completely offline. But for the biometric details like retina scan and thumbprint and the digital signature the individual needs to be physically present at the center. They need to prove their NRI status like through a Green card or any other equivalent card. In excess, they need to submit their birth certificate, school certificate and any other documents that prove their reason for a stay abroad. It is also mandatory to present a Pan Card in the case of NRIs and foreigners. It is useful for an NRI or foreigner to have an Aadhar card as t is the basis through which their unique details will be stored on an Indian database. They can use it as an identity proof while travelling in India. It is a good idea for an NRI or foreigner settled in India to apply for their Aadhar card.